That’s how three Republican candidates, who apparently won on Election Day last month, ultimately had victories snatched away in losing to Democrats days after the election. In California, 5 million absentee votes changed the future of the apparent winners. Now, we go to North Carolina, where we have a most unusual situation. Conservative Republican Mark Harris, seemingly the victor on Election Night for the state’s 9th Congressional District seat, had his election put on hold pending an investigation of alleged voter fraud regarding absentee votes. We first learned about “ballot harvesting” from the great state of California. 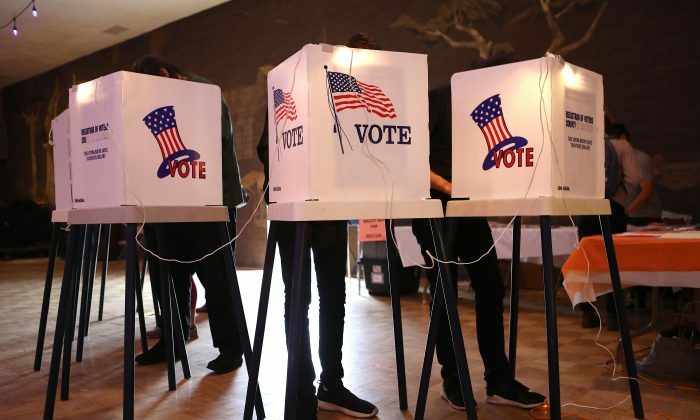 Under a new California law, a relative or a third-party person living in the home can cast an absentee vote for someone unable or perhaps unwilling to vote. Although it is perfectly legal, it runs counter to the traditional purpose and use of absentee ballots. Ballot harvesting is illegal in North Carolina, so how did it become an issue for Mark Harris? Almost a month after the Nov. 6 election, an anonymous tipster provided information that has caused the board of elections to delay certification of the election. This is after Harris, a former Baptist pastor, was declared the winner when his vote total exceeded his Democrat opponent, Dan McCready, by 905 votes. For Democrats, this might seem like an early Christmas present that could generate an opportunity (a costly one at that) for a do-over election, or it might just be a way to taint Harris and the GOP. It’s far too early for Democrats to celebrate. Right now, there is much glee and salivation among Democrats, who get to point fingers at Republicans. It certainly takes the spotlight off them. However, I believe the allegations in North Carolina and other states might be a godsend for those of us who want serious electoral reform. If both parties are abusing a process implemented to make voting easier for people with legitimate reasons for not voting in person, evidence of abuse should lead to greater scrutiny of mail-in ballots. It’s clear that Democrats weren’t expecting to lose the 9th Congressional District. They were aggressively using absentee ballots as part of their insurance policy in swing districts. An Oct. 17 News & Observer article, titled, “A spike in absentee ballot requests from NC Democrats, typically a GOP strength,” noted that 45 percent more Democrats than Republicans had requested absentee ballots. Groups involved in pushing the absentee ballots included the left-leaning Center for Voter Information, which reportedly mailed 202,000 absentee ballot applications with self-addressed, postage-paid envelopes, and the National Association for the Advancement of Colored People (NAACP). The intent was to give persons from groups unlikely to show up at the polls the chance to vote by mail. Getting certain demographics to vote has always required extra nudges and follow-ups. Higher-socioeconomic individuals would be far more likely to vote and request absentee ballots if sickness, travel, or some other legitimate excuse prevented them from early voting or voting on Election Day. As is often said in the South, “if you lie down with dogs, you will get up with fleas.” Harris’s campaign made the unfortunate mistake of contracting with a company (Red Dome) that hired a questionable character (former Democratic Party operative Leslie McCrae, with a known criminal past) to run its get-out-the-vote operation. Getting out the vote is something Democrats are experienced at doing. For years, Democrats have paid what is called “walking-around money” for the sole purpose of mobilizing voters. McCrae fit the bill as a hired gun highly sought by both political parties. If McCrae engaged in unethical vote-getting tactics, we can be sure these tactics were used in other elections. A Washington Post article quoted two women who reported giving their ballots to someone who knocked on their door, but they couldn’t remember for whom they voted. The interviewed women stated that someone came to their respective homes, helped them fill out their ballots, and took the ballots to mail on their behalf. The New York Times reported, “State officials are particularly concerned that people working on behalf of Mr. Harris’s campaign picked up, ‘harvested,’ absentee votes, a crime under North Carolina law.” Harvesting is the word we learned from the Democrats in California who have legalized and perfected the process. It’s possible that more Democrats than Republicans failed to return their ballots. So, the high Harris return rate might just mean his team did a better job than the Democrats did in getting their supporters’ ballots returned. If the process is to be fair, then the post-election investigation must include an examination of both political parties. What, if any, follow-up did the Democrats do with the absentee ballot recipients? Regardless of what happens in North Carolina, it has implications for the rest of the nation. Democrats and Republicans have a stake in ensuring a fair and open electoral process. We need new federal election guidelines to prevent states from rigging the process. Mandatory voter-identification requirements; clear and transparent standards for the handling of absentee ballots; enhanced penalties for registering and encouraging non-citizens to vote; and verification of machine votes with immediate receipts would improve the process. If we get started now, we can correct many of the problems before 2020. 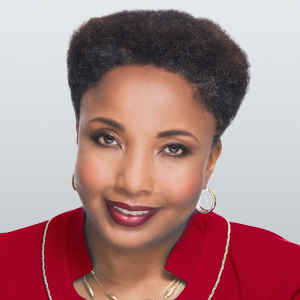 Dr. Carol M. Swain is the voice behind Be The People News—a blog and podcast dedicated to empowering individuals to think independently, understand their responsibility, and believe in their unique ability to make a difference in the world.